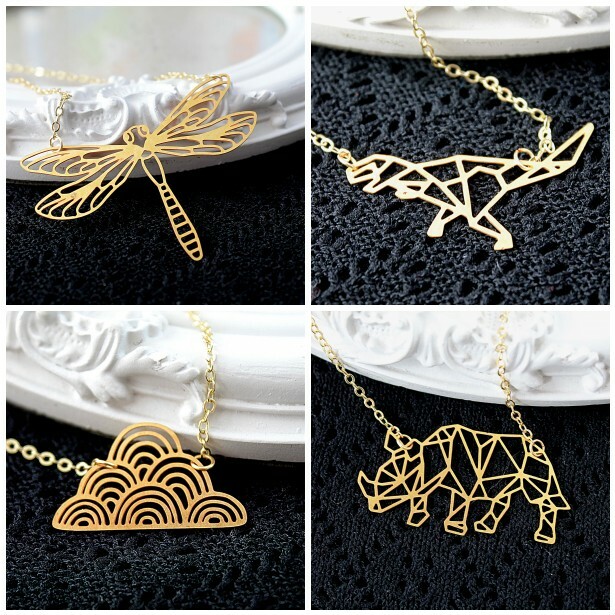 Dragonflies, dinosaurs, rhino and clouds OH MY! Love the clouds, but all others are cute too. These are so dainty and cool! The clouds caught my attention too but I like the animals as well with their origami style. I agree, all beautiful but clouds are so cute!! They are all awesome! But who doesn't want their own dino?